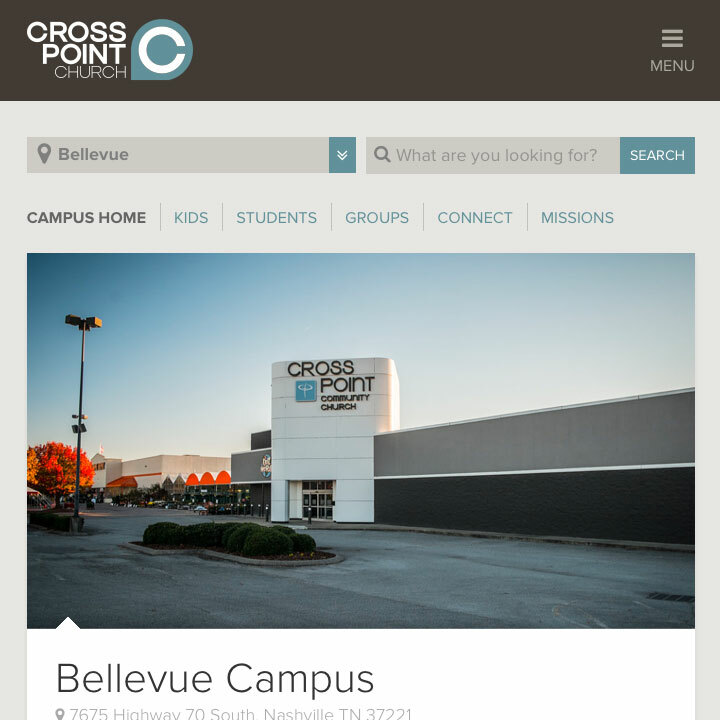 When Cross Point, one of the fastest growing churches in the nation, needed a new website, they partnered with The A Group to design a platform that was built with mobile in mind. 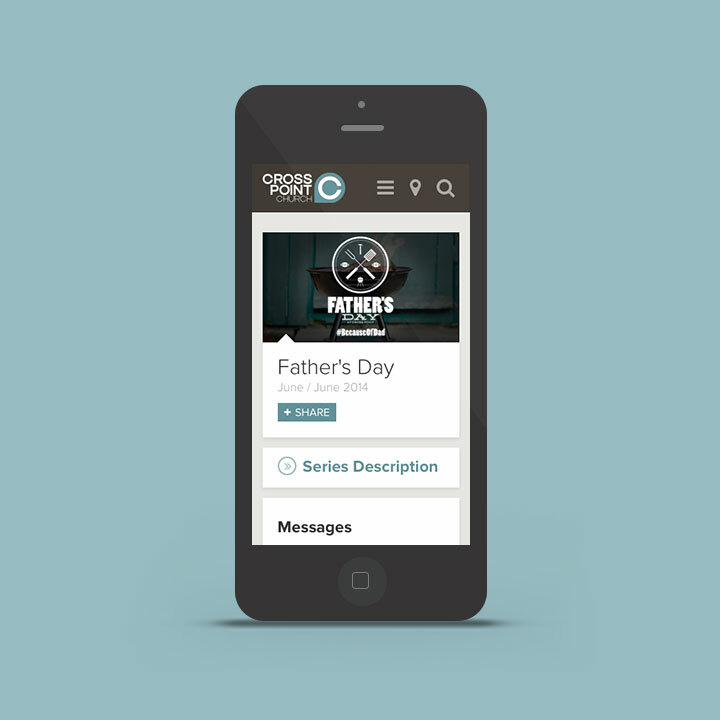 Understanding that their young congregation had their phones on them 24/7 and that they often used mobile devices to access Scripture during services, Cross Point's mobile-first site features a modern layout with dynamic content laid out in a flat, image-based tile approach. The site responds to the location of the visitor, offering the most up-to-date information about the campus most relevant to them, while the This Week section contains real-time information including that week's sermon notes and announcements. 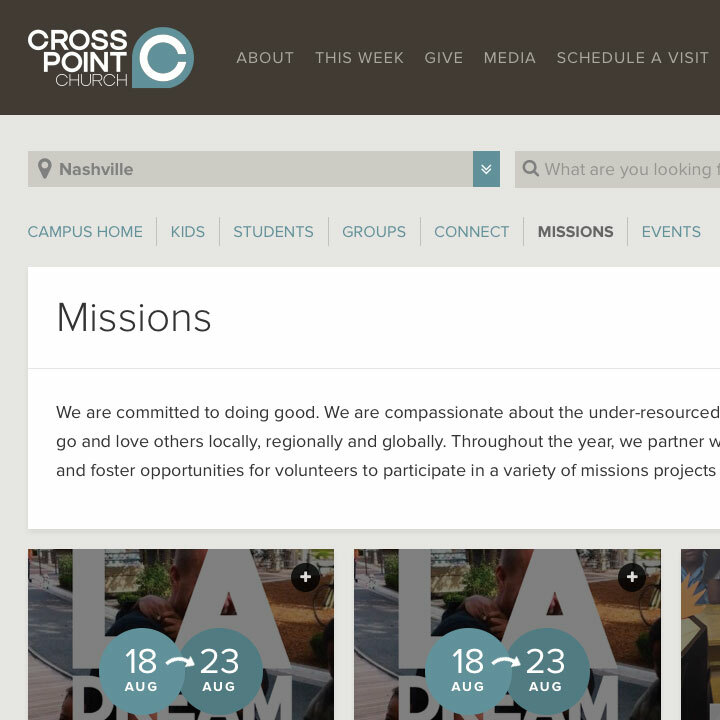 The site is designed to not just contain information about the church but to provide an interactive experience that serves as a ministry tool throughout the week.